Every battery has a life span, which diminishes each time you plug in the charger. The iPad Air V1 is no exception, with a general understanding that battery performance will start to be affected after 400 charge cycles. If you have any of these issues, get in touch and our world class technicians will diagnose and replace your battery on the same day. As far as problems go, a battery replacement is a very minimal cost. 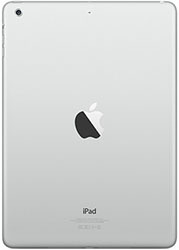 Simply give us a call on 1300 046 363, request a quote online, book online, or bring your iPad Air V1 right into our store located at 27 Cornmeal Pde, Maroochydore, Sunshine Coast today.